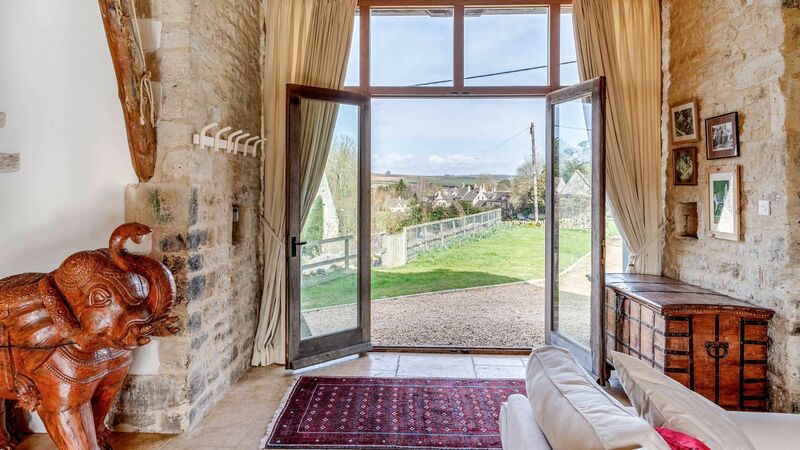 Moonlight Barn is a stunning rural barn conversion located at the top of the beautiful village of Little Barrington. 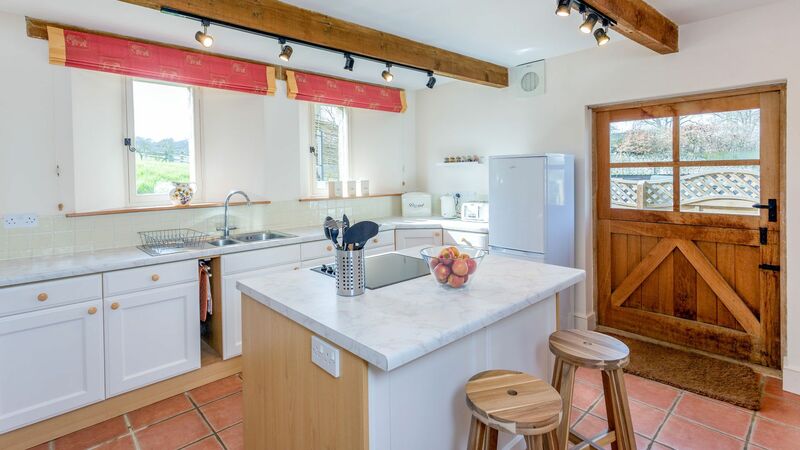 The self-catering barn has been renovated to a high standard whilst retaining the building's original features, such as exposed beams and high ceilings. It has been furnished with treasures from the Owner's travels. 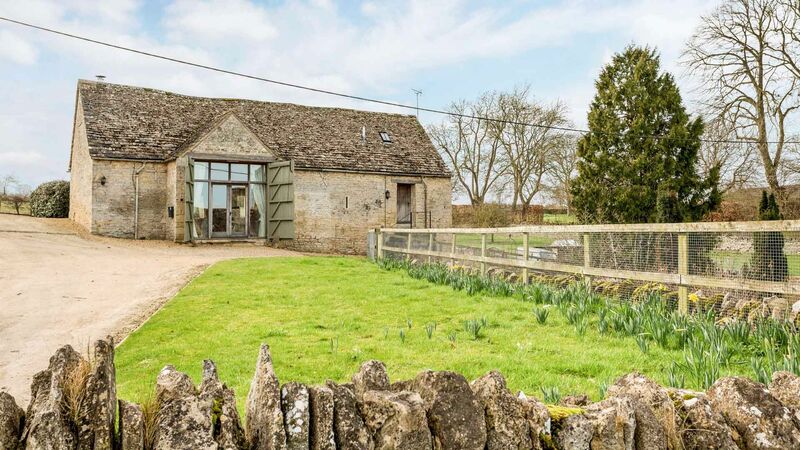 Little Barrington is an area of outstanding natural beauty and the barn benefits from stunning views of the village and surrounding farmland, it is located close to the historic town of Burford and within easy access to the A40 for Oxford, Cheltenham and London. 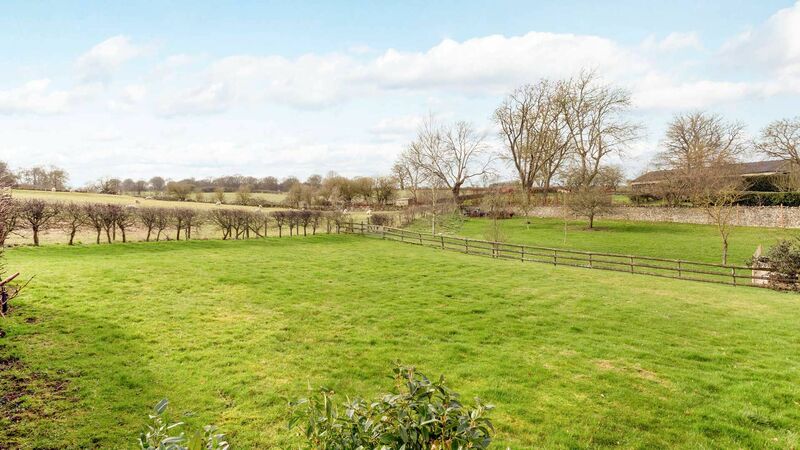 There are a large number of footpaths nearby and ideal location for exploring the local areas. 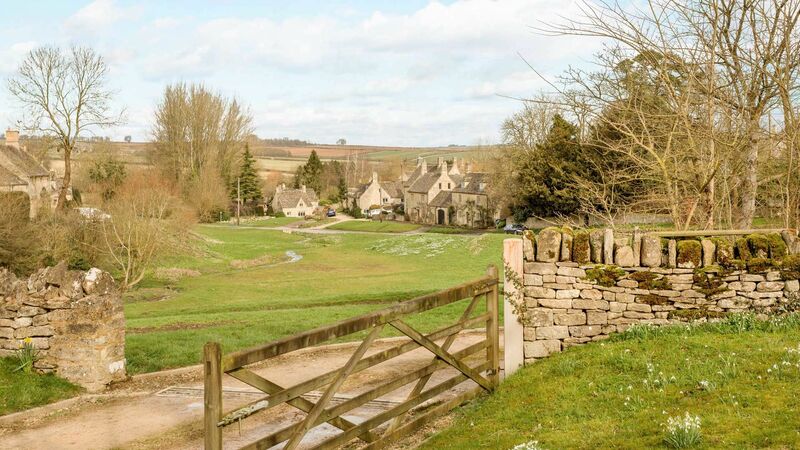 You can walk to the historical town of Burford. There is a lovely pub on the River Windrush called 'The Fox inn' which is a short stroll away! 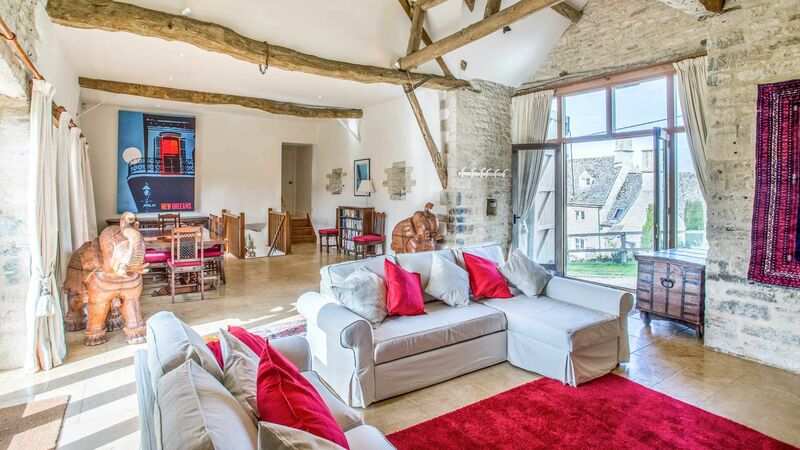 Large open-plan double height living/dining area with exposed beams and wood burning stove. Beautiful dining table which can seat 4-6 guests. 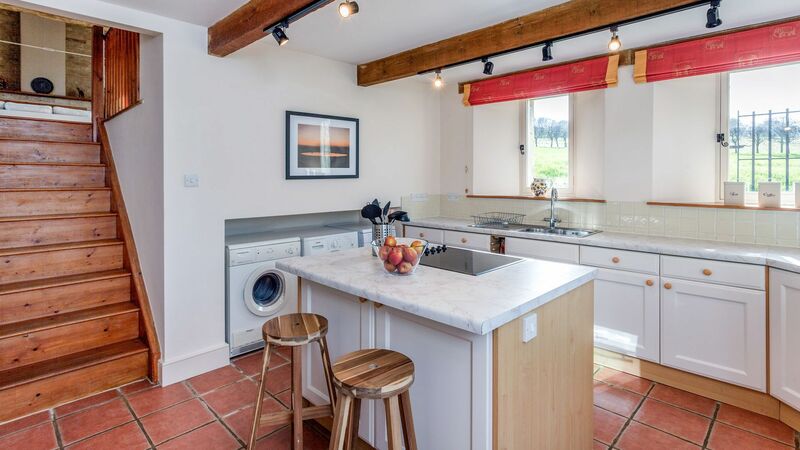 The kitchen is fully equipped and features a small island and bar stools. 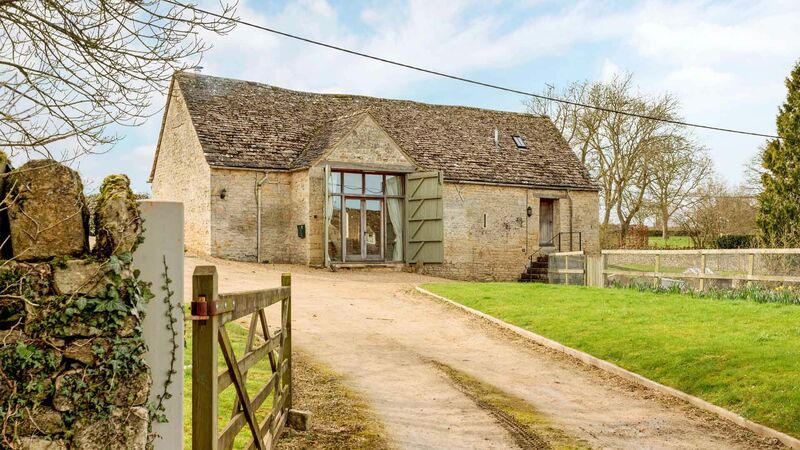 My husband and I rented Moonlight Barn for a six month period and couldn't rate it more highly. Our hosts were lovely and made us feel very welcome and were always on hand if we had any questions. 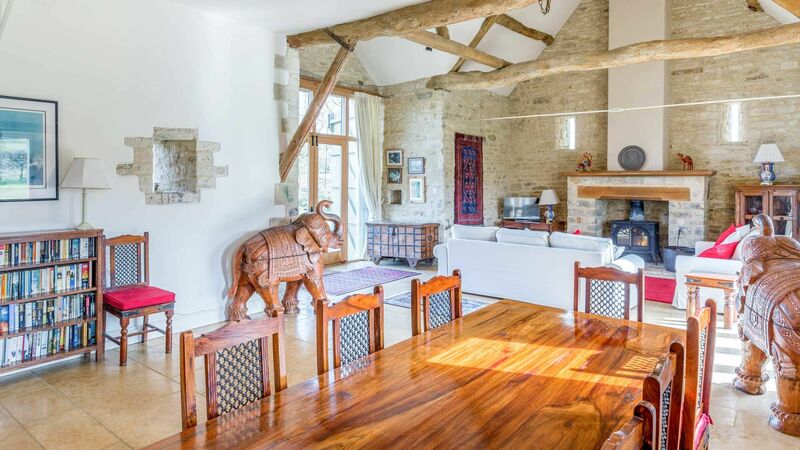 The barn itself is full of character with lovely interiors and very comfortable, a real home from home that we always looked forward to getting back to. Added to which, it was equipped with everything we needed. 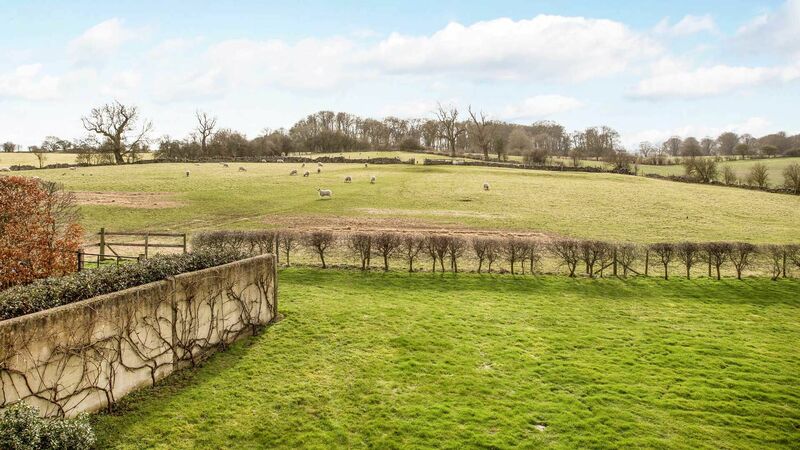 I would not hesitate to recommend this property to anyone looking for a peaceful countryside retreat and we will definitely be back! 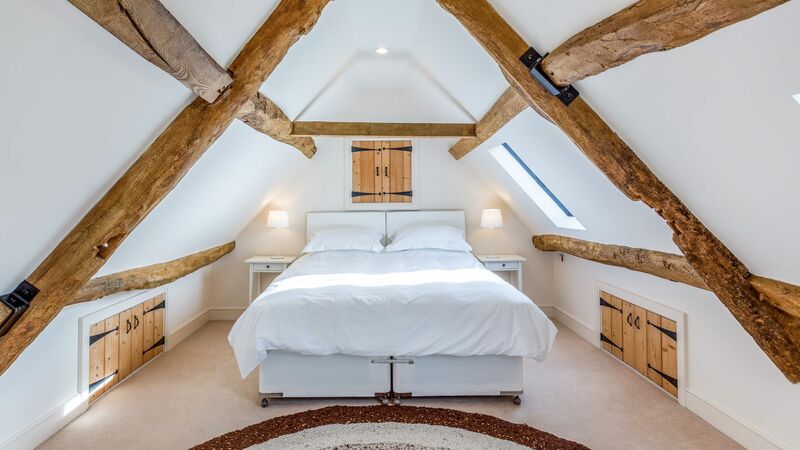 Moonlight Barn is beautiful inside and out with state of the art amenities. 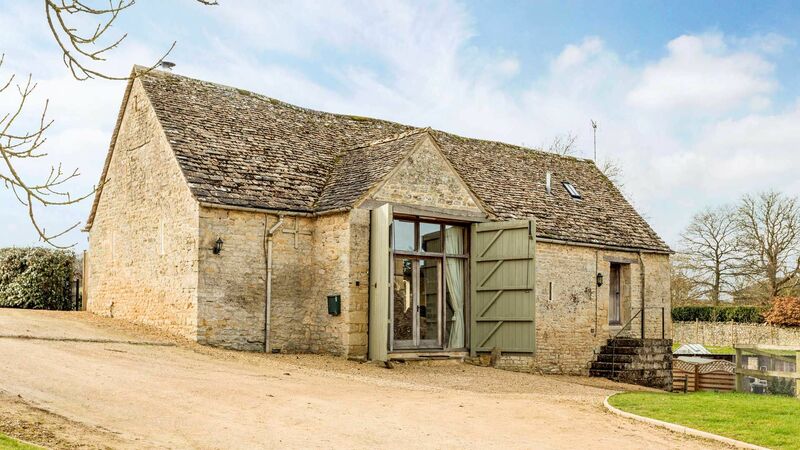 It is located in the quiet village of Little Barrington, which is just big enough to have a first-rate pub. Moonlight Barn has a decor that is modern and yet exotic. The owners set out a very nice welcome for us. We would definitely stay here again. We had a fantastic weekend in Moonlight Barn! 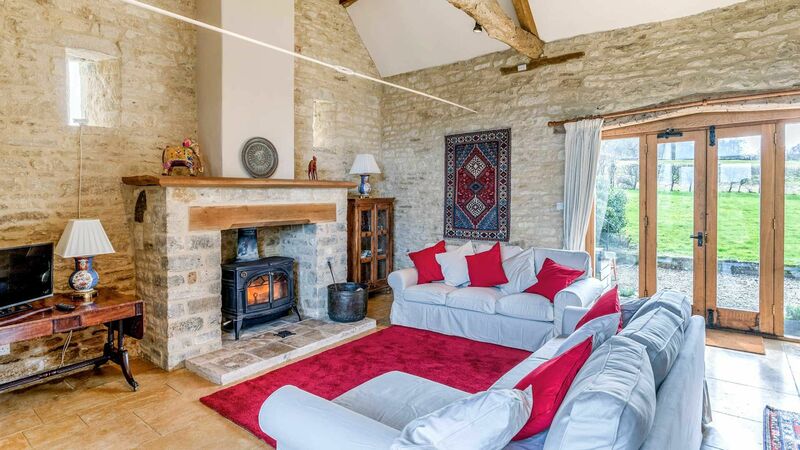 The Cottage was exactly how a Cotswold property should be, with everything we needed in one place and the most amazing views! 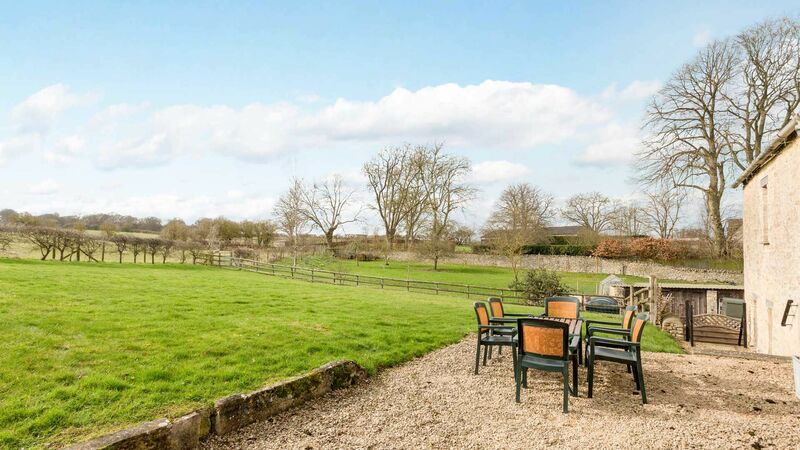 The team made the booking process easy and the owner is just lovely. 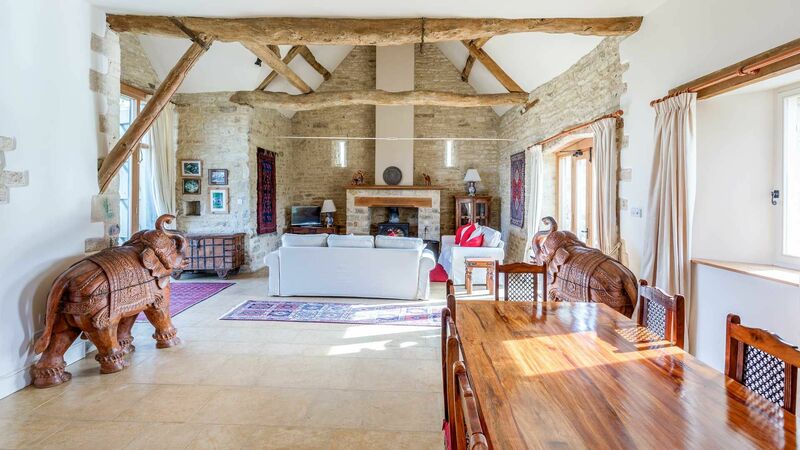 We would recommend this property to anyone who is interested in exploring the Cotswolds. We will be returning soon! 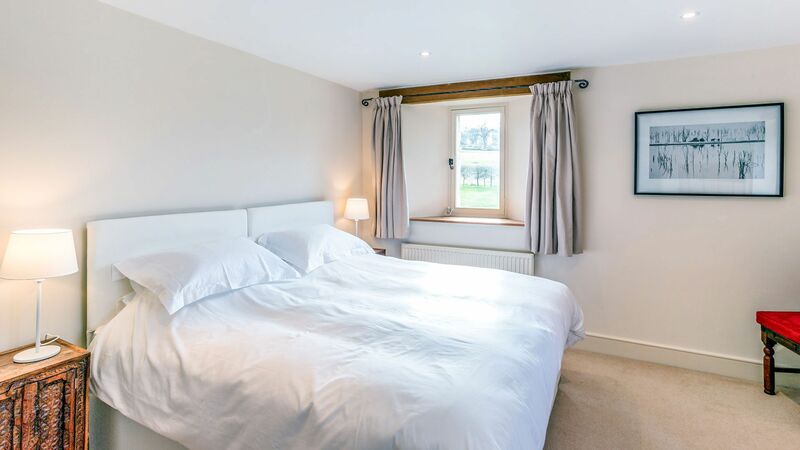 Prices stated are based on an occupancy of up to 4 guests. 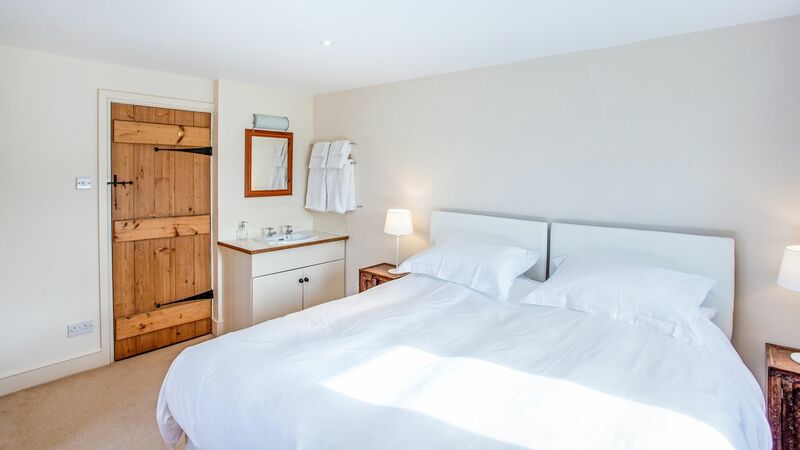 An additional supplement of £75 per person will be applied, up to the maximum occupancy of 6. Please contact us for further details regarding additional occupancy as it is subject to sleeping configurations and permission. 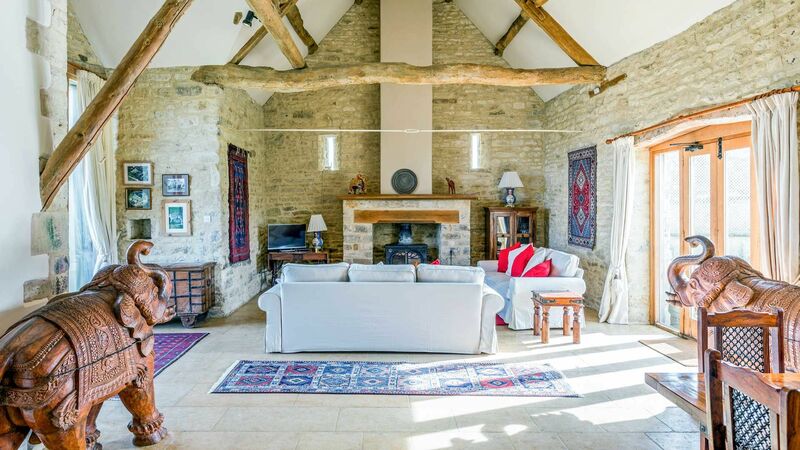 Little Barrington is situated in the Windrush Valley, an area of Outstanding Natural Beauty, close to the historic town of Burford. 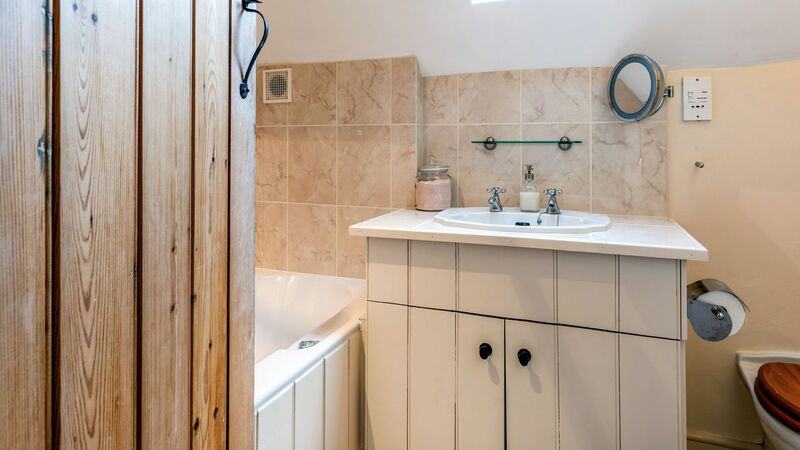 There are two pubs within walking distance to the property, The Inn For All Seasons and The Fox Inn and plenty of walking routes from the front door! 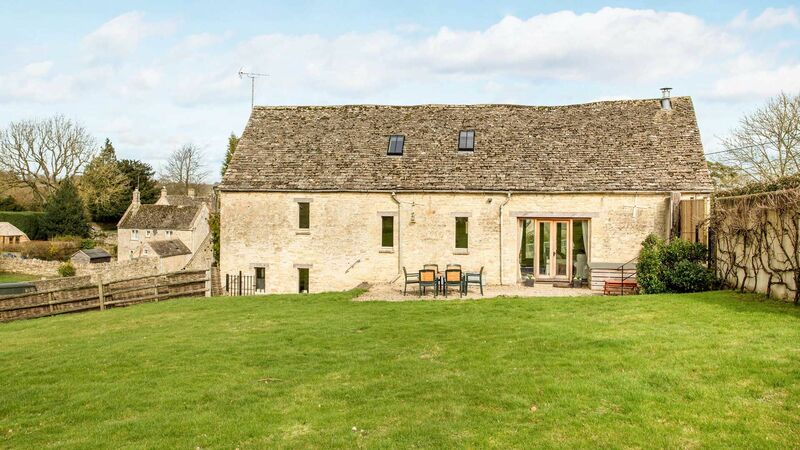 There is also easy access to the A40 for Oxford, Cheltenham, London and is an excellent base to explore the Cotswolds.